A strong and agile breed developed to be a multi-purpose hunting dog, the Curly-Coated Retriever has a coat of small, tight curls that are water-resistant. 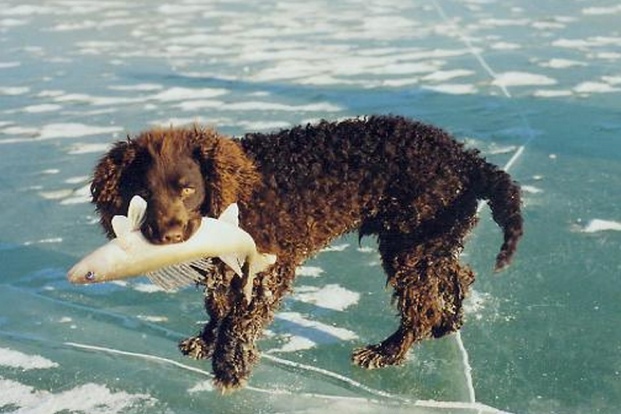 A breed that loves to swim and will work as long as there is work to be done, the Curly-Coated Retriever is known for finding and retrieving game in the heaviest of cover and iciest of waters. A medium-sized herding dog that originated in Hungary in the 17th or 18th century, the intelligent and energetic Pumi is used to herd cattle, sheep and swine. 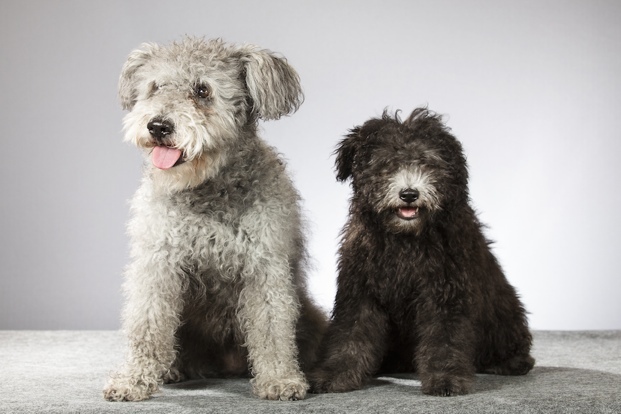 Recognized by its circular tail and long head, the Pumi’s coat is a combination of wavy and curly hair and forms corkscrews all over the breed’s body. The Pumi is an effective and versatile stock dog and knows how to use his voice and quick movement to keep herds under control. A loyal working and companion dog that was developed in its native Portugal to accompany fishermen on their boats, the Portuguese Water Dog loves the water and posses a curly waterproof coat. Used to guard boats, retrieve broken nets, dive for fish and carry messages between boats and the shore, the coat of the Portuguese Water Dog can be black, white, brown or a combination of the three and requires regular maintenance. With jobs that include herding, hunting, water work and companionship, many Spanish Water Dogs enjoy swimming and protecting its family. This breed has a curly single coat that can be seen in shades of black, brown, beige, white and parti-color. 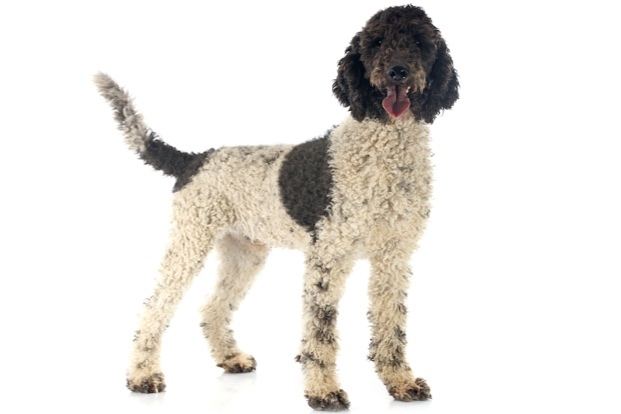 In terms of coat care, the woolly texture of the Spanish Water Dog’s coat requires clipping at least once a year and should never be brushed, combed or blow-dried. 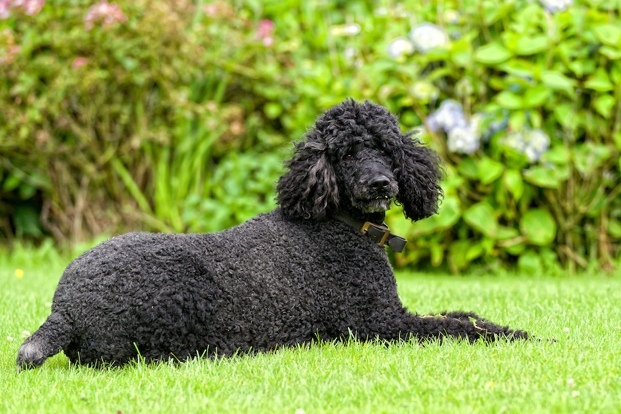 Another curly-coated breed that - you guessed it - loves the water, the Irish Water Spaniel is the tallest spaniel breed and possesses a water-repellant double coat that consists of dense, tight ringlets, a topknot of long loose curls, a thick “rat” tail and a smooth face. This dual-purpose hunting dog is known for its skills on land and in the water. Its coat, which requires brushing every few weeks and trimming every two months, may be suitable for allergy sufferers. 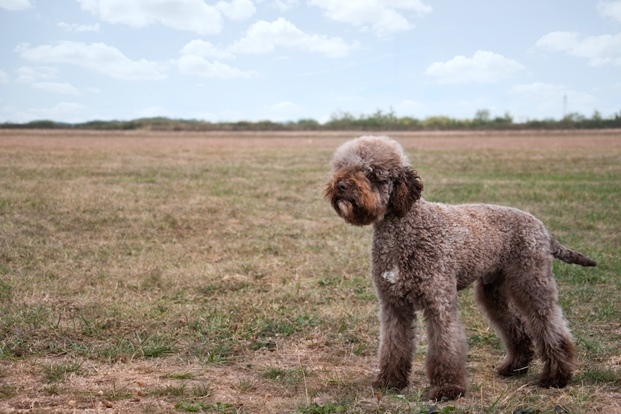 A small to medium-sized breed with a dense, curly coat, the Lagotto Romagnolo is the only breed in the world specifically developed to find truffles on all kinds of terrain. Known for its strength and endurance, the breed is used to working all day on difficult and challenging terrain and, in addition to its truffle-finding skills, has been used as a year-round water dog. The breed’s woolly coat has a thick undercoat that serves as an insulator and has water-repellant qualities. One of the most intelligent and versatile dog breeds, the Poodle originated in Germany as a water retriever. Its famous “Poodle clip” haircut was designed by hunters to help the breed move through water more efficiently, while leaving patches of hair on the body to protect the dog’s vital organs and joints that were more susceptible to cold weather. The Poodle loves to impress its family and gets along well with children and other dogs. 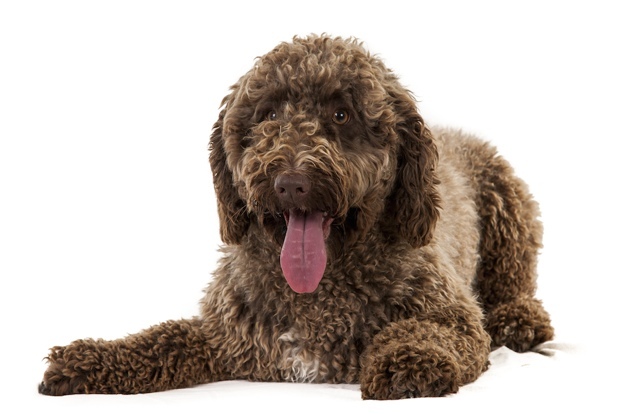 Known for being the state dog of Wisconsin, the American Water Spaniel was developed primarily in the Great Lakes region of the country in the mid 1800s. 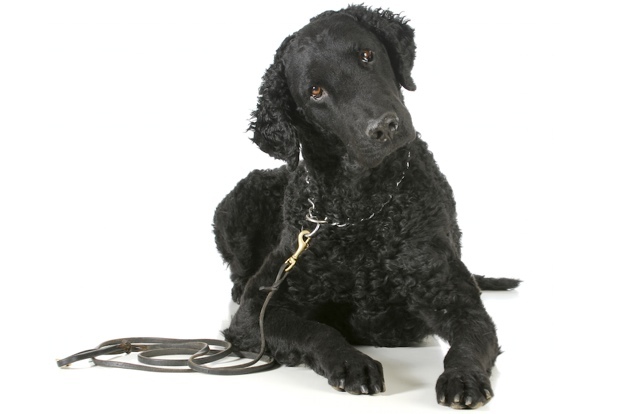 With ancestors that include the Irish Water Spaniel and Curly-Coated Retriever, the American Water Spaniel was the first breed developed in the U.S. as an all-around hunting dog that could retrieve from boats. 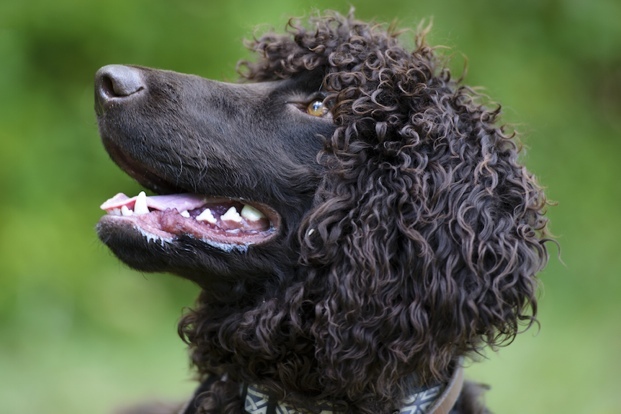 With a unique coat that can be either wavy or closely curled, the American Water Spaniel can be seen in solid liver, brown or dark chocolate and requires consistent care.